Diplomatic and consular missions of the Republic of Serbia in the United States and Canada would like to thank all humanitarian and non-profit organizations registered in the U.S. and Canada for their work and activities in collecting humanitarian aid for the flooded areas in Serbia. The Government of the Republic of Serbia did not give the exclusive right to any Diaspora organization or association to collect and send humanitarian aid. 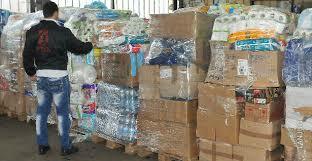 Diplomatic and consular missions of Serbia highly appreciate efforts of all organizations, associations, individuals, Serbian Diaspora clubs and the Serbian Orthodox Church to collect humanitarian aid. Assistance is provided to all interested organizations and/or individuals so that the humanitarian aid may reach the people in need.